Welcome to Hong Kong, the City of Life. Upon arrival, you will be met and transferred to the hotel. In the evening we recommend the Symphony of Lights Dinner Cruise (optional). 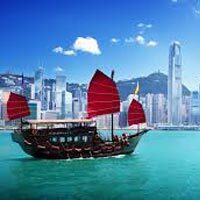 This morning enjoy the Hong Kong Island tour including TSL Workshop, Factory Outlet and Avenue of Stars. Later, visit Ocean Park, a must see attraction with over 80 facilities and performances. Come face to face with more than 100 sharks and rays in one of the largest shark exhibits in Asia, Shark Mystique. Home to many precious animals, including giant pandas, red pandas and golden monkeys, Ocean Park offers a unique glimpse into the habitats of these creatures and a message of conservation. Start your discovery at Aqua City, an immersive ocean-themed area. Be amazed by Symbio, the world’s first 360-degree water screen show, playing every evening at the Lagoon! Take the iconic Cable Car to Ocean Theatre and catch “Ocean Wonders”, featuring dolphins and sea lions! On Thrill Mountain, get that adrenaline pumping with the Park’s wildest roller coaster, the Hair Raiser! 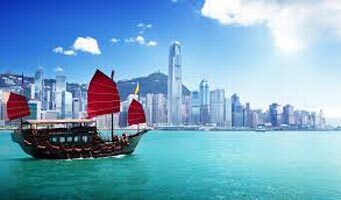 Take a trip to Old Hong Kong, a gateway into the city’s golden age of the past. For a cool experience, take a ride on the Arctic Blast to the Polar Adventure, where southern rock hopper penguins, Gentoo penguins, king penguins and pacific walruses wait beneath the auroras. The day is free at leisure. You can visit Disneyland (optional) in Lantau Island. Spend the day at Disney Park at its six lands based on the stories of Wild West, Toy Story, Fantasy, Adventure, Space and Americana. In each land enjoy high quality rides, meet the characters and watch the amazing Broadway style shows, as you fill your day with fun and play. The morning is free at leisure. Later you will be transferred to the airport to board your flight back home.